At Hampton Inn - Suites Huntersville you*ll be minutes away from the shoreline of Lake Norman and near fun things to do in Huntersville such as shopping golfing dining and racing. Play golf on the shores of Lake Norman and then walk along the area*s tree-lined paths. Rent a canoe or kayak or cruise the lake on the Catawba Queen a replica of a Mississippi River boat. Enjoy Birkdale Village offering shopping dining theaters bubbling fountains and colorful gardens. Discover what life was like in the 1800s at Latta Plantation. Enjoy family fun at Discovery Place Kids. Tour the Metrolina Greenhouses or visit the NASCAR Hall of Fame and Charlotte Motor Speedway. Find souvenir racing merchandise at Joe Gibbs Racing Raceshop. Our hotel in Huntersville offers convenient access to Uptown Charlotte including Bank of America Stadium Time Warner Cable Arena and the EpiCentre. Join us in the lobby each morning for a free hot breakfast. If you*re running late pick up a free Hampton*s On the Run Beakfast Bag to take with you. Get work done with free high-speed internet access in your room. Reserve our 625-sq. ft. meeting space for meetings or training. After a day of water sports or shopping fall asleep amid crisp fresh linens and a plush duvet on your clean and fresh Hampton bed. 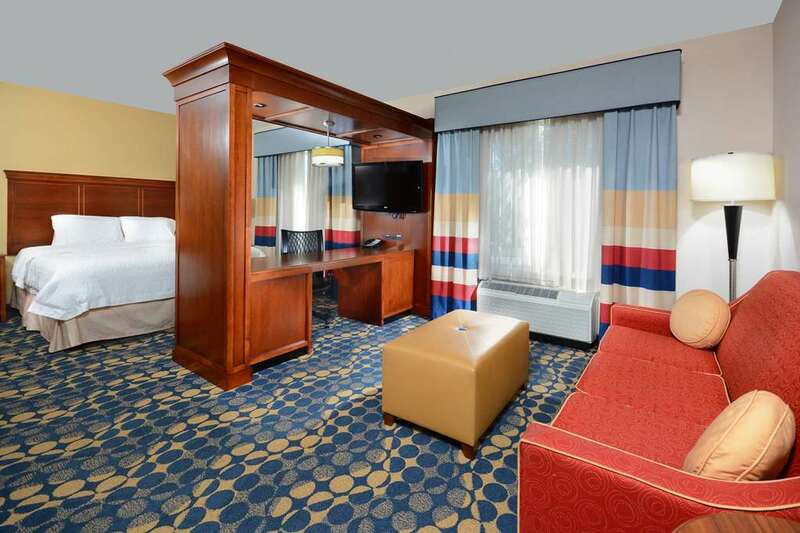 You have a home away from home at Hampton Inn. Experience caring service and a friendly staff at our hotel in Huntersville North Carolina.